Isn’t it funny how we will spend money on the most frivolous things, yet when it comes to spending money on things to improve our well-being, we run in the opposite direction? From eating out 4 days a week to unreturned items collecting dust in our closest, many Americans choose to throw away their hard-earned money on useless expenses. When it comes to investing in their health or paying for a financial planner, the sticker shock may have them sprinting for the hills. If you find yourself second guessing a partnership with a financial planner due to their price tag, you may want to reconsider. Financial planners offer more value than their price tag suggests. The value they bring may even pay for their services. Here are the 7 ways financial planners pay for their services. Would you get up in front of your company and perform 5 karaoke songs in order to avoid paying taxes? Or would you forgo WiFi to free yourself from Uncle Sam knocking at your door? In a recent study, GOBankingRates surveyed 1,000 Americans and found most would go to extreme measures to avoid paying taxes. It’s obvious that most Americans would do almost anything they could to avoid writing a check to Uncle Sam. Not only is it painful to dish out a large chunk of your income, but understanding tax code is overwhelming and confusing. If you’re like many Americans, taxes cause a lot of anxiety and frustration. This is where financial planners come in. If you don’t want to spend the time on researching new tax regulations, financial planners can do the legwork for you. 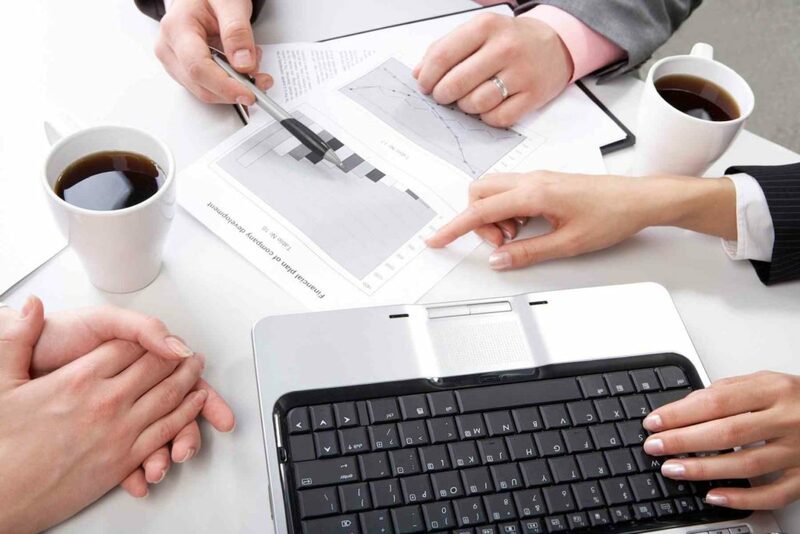 Financial planners help their clients navigate through the trenches of tax planning and connect them with great tax professionals. Developing a tax strategy is imperative for your years in retirement. In order to maintain the lifestyle you desire, you will have to start taking distributions from your hard-earned nest egg. Depending on the accounts you take money from, you may have to pay a significant amount to the IRS. A financial planner can help you develop a plan of action for taking your distributions that will minimize your tax burden. You’ve worked hard to save for retirement, you want to do everything you can to minimize your tax bill. Did you know health care spending rose by $933.50 billion from 1996 to 2013? Unfortunately, it continues to rise. Health care is a huge part of a comprehensive financial plan in retirement. Many Americans don’t take the time to plan for their health care needs, which can later put a large financial burden on their golden years. They spend so much of their time focusing on saving and investing, that health care planning doesn’t get the attention it deserves. Financial planners can educate clients on the many health care and long-term care options and help them make the best decisions. Health care affects more than just the client, it also affects the client’s family and friends. You need an educated partner at your side to find the best solution for health care needs in retirement that you and your family feel comfortable executing. Whether you’re young or old, estate planning can help you minimize expenses and save on the taxes associated with an estate. It simplifies and streamlines the transfer of assets to future generations. Estate planning can also help you ensure your beneficiaries are protected. Planning your legacy may be very challenging and confusing. Financial planners can educate you on all the options so you can make the best decisions for your family. They can help you avoid any missteps when creating your estate plan. From wealth management to income planning, identifying retirement planning solutions can be daunting. There are so many factors to consider when preparing for retirement. Since you’re not the expert, you may not know what to expect. Financial planners have experience working with pre and post-retirees. They understand the hurdles they face and the solutions for addressing them. Their experience can help you avoid similar missteps. For example, inflation can significantly impact your buying power in retirement. A solid distribution plan can save you money and combat inflation. Understanding these road blocks will help you better prepare for the future ahead. Have you ever heard the saying, “sometimes you can see the forest through the trees”? When it comes to making financial decisions, it may be challenging to see the entire picture because you’re too close to the problem. Clients are often too close to their own issues to weigh out the pros and cons. Financial planners are great resources for helping you evaluate your options. They can show you each path and how it will impact your financial future. Combining a financial planner’s knowledge and experience with your passion for achieving your goals will help you make the best decision. You don’t want to make a financial decision that will end in financial distress. Do you remember how you felt during the stock market crash of 2008? Did you feel like the walls were caving in around you? Did you imagine spending the rest of your dying days working at a drive thru to make ends meet? The crash of 2008 was traumatic for many investors. It was even more traumatic for those who didn’t have a support system to turn to when they saw most of their retirement savings disappear within in a day. A financial planner can help support you and create solutions for addressing any financial hardships you face. Life is a combination of financial ups and downs, having a financial planner by your side will ease the financial burdens you may encounter. Not only will a financial planner help you address challenges, but they can help you reach your wildest dreams and aspirations. They become a friend and a confidant. They can hold you accountable and assist you with achieving financial success. This aspect of their work is something money can’t buy. Watching the day to day market volatility can make your head spin. There are plenty of other pressing matters that you should focus your attention on. You should be attending your grandson’s baseball game or your daughter’s graduation from medical school. You have enough to worry about, you don’t need to stress about your retirement savings too. Let your financial planner worry about the happenings within the market. It’s their job to monitor your portfolio and stay up to date on the news surrounding the financial industry. Let them do the leg work so you don’t have to. Your financial planner will take on the weight of executing your financial plan. This gives you the mental freedom to focus on your family and other important aspects of your life. This is also truly priceless! Financial planners are more than wealth management experts. They can become your friend, confidant, and support system for achieving your financial aspirations. The value financial planners bring to your life may well surpass any fees you incur. So, before you gasp at their price tag, evaluate the true value they bring to your financial well-being.